Allies of World War II: The Allies of World War II, called the "United Nations" from the 1 January 1942 declaration, were the countries that together opposed the Axis powers during the Second World War . The Allies promoted the alliance as a means to control German, Japanese and Italian aggression. 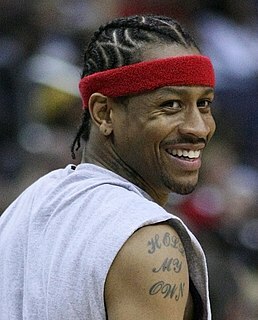 Allen Iverson: Allen Ezail Iverson , nicknamed "The Answer", is an American former professional basketball player. He played for fourteen seasons in the National Basketball Association (NBA) at both the shooting guard and point guard positions. Allies of World War I: The Allies of World War I or Entente Powers is the term commonly used for the coalition that opposed the Central Powers of Germany, Austria-Hungary, the Ottoman Empire and Bulgaria during the First World War . By the end of the first decade of the 20th century, the major European powers were divided between the Triple Entente and the Triple Alliance.